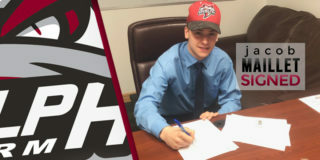 Guelph Storm General Manager George Burnett was already behind the 8-ball in his search of two veteran defencemen to shore up his very young blue line for a playoff run this year. That was before overage d-man Jack Hanley severely injured his ankle Saturday in the Storm’s 4-3 overtime win in Hamilton. Guelph had defeated the Bulldogs on home ice the night before, 5-3. As of the writing of this article it had been confirmed there was no break in the ankle but Burnett, still awaiting some more tests, felt there was a very good chance it was a high ankle sprain. Those are nasty. Sometimes a break is more favourable because you have a set number of weeks before you know the bone will heal, but with the high ankle sprain, they can be unpredictable and painfully slow to rehabilitate. So with Hanley out and Dimitri Samorukov representing Russia at the World Junior Championships, the Storm has 18-year-old Owen Lalonde, 17-year-old Mark Woolley, and 16-year-olds Daniil Chayka, Zack Terry and Luka Profaca on their backend. They did remarkably well holding down the fort in their win on Saturday but you can’t win in the playoffs with that much inexperience. It was going to be hard for Burnett to get two veteran defencemen and now, depending on Hanley’s prognosis, he might need three. One commodity the Storm does have is draft picks. According to the unofficial OHL Draft Pick Database, Guelph has two second round picks in 2019, three in 2020, one in 2021 and two more in 2022. 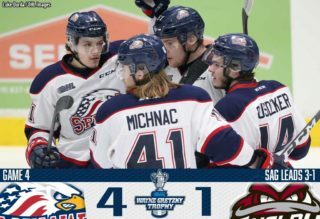 Hamilton doesn’t have any second round selections over the next eight years after loading up for their Memorial Cup run last year; Barrie just traded a 19-year-old defenceman to rival London to get two seconds and third back to replenish their depleted draft pick pool; and other teams like Sault Ste. 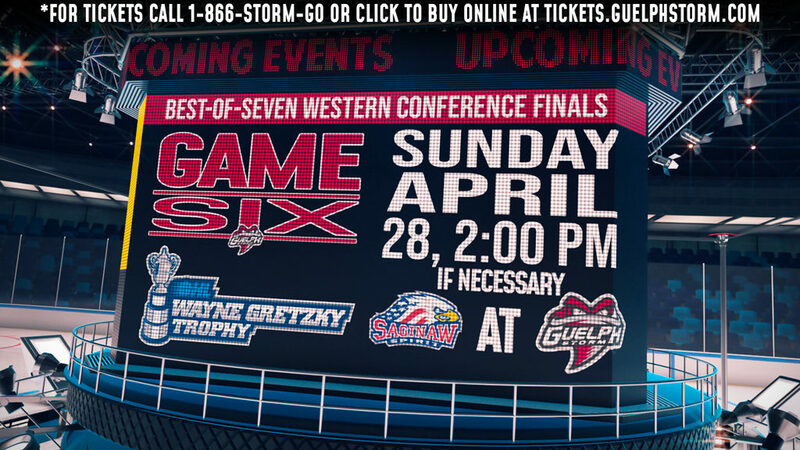 Marie, Owen Sound and Mississauga don’t have second rounds in either of the next two seasons. The question is … are they willing to give up a veteran defenceman in order to restock the cupboard? 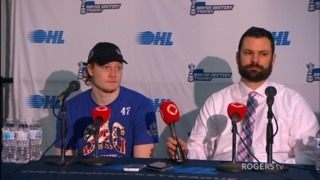 Hamilton’s Nicolas Mattinen, a 6’5” defenceman with lots of playoff experience would be a nice fit for the Storm but they won’t be the only bidders. It may mean the Storm will have to overpay for the veteran defencemen they need and then hope that Hanley can be back at full strength for the playoffs. From the Land of Oz …Just before last years trade deadline the Storm traded forward Givani Smith to Kitchener for three second round draft picks. 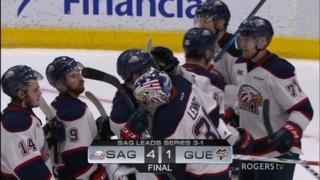 Smith has a goal and two assists this season with Grand Rapids in the American Hockey League …In 2017 the Storm acquired forward Liam Hawel from Sault Ste. Marie. 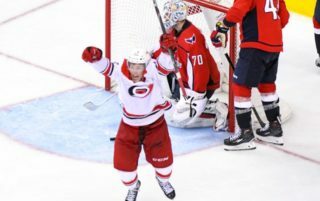 Hawel is having a breakout year with 19 goals and 40 points in 33 games. He is playing on a line with newly acquired Pavel Gogolev and Alexey Toropchenko. That trio had 12 points in the two wins over Hamilton last week.